Instead of notes, there are many words and images. 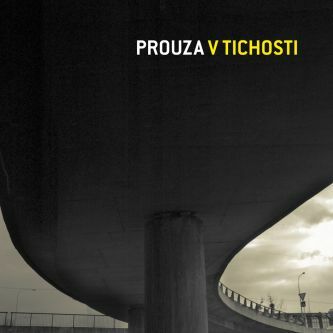 “Neslýchané” is the new studio album of rock songs on a CD accompanied by a DVD which contains older songs by Traband. These songs are translated to Czech sign language by the Czech Chamber of Sign Language Interpreters and recorded as video clips. Although the previous album called Domasa was released a year ago, the new album is different in many ways. Nature poetry goes aside; the album is conceived as a collection of human stories. The CD contains an intro plus eleven songs. Some of them are already well known from concerts (Stone in a shoe, Princess Lada, Listener from Prague), some of them are yet unheard (Such a Woman, Such a Man, Romeo and Juliet after Ten Years, Deža Knows). Rock songwriting is supported by a stronger guitar and weaker “organ” sound which is dominant e.g. 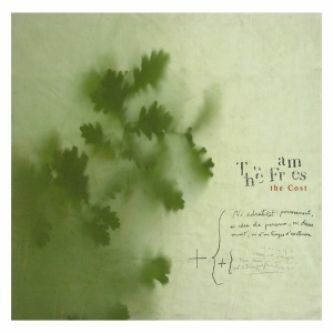 in Man’s Friend (more information about the CD bellow). The second disc is a DVD which is unique in Europe. 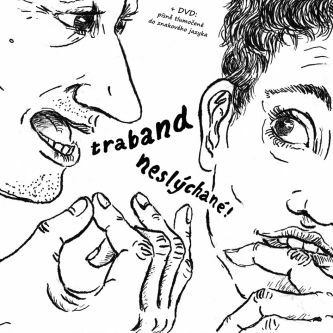 This is a music DVD in the Czech sign language, a language of Czech deaf people. This DVD is not only for them, though, it is for everyone interested in sign languages. Thanks to this DVD, both the deaf and those who can hear properly are able to enjoy the musical experience together. The cameraman and director of this project Zeno Václavík took charge of a difficult task of interpreting the songs of Traband visually, choreographically and in an attractive way for regular listener and at the same time in a way that would be comprehensible to the deaf. 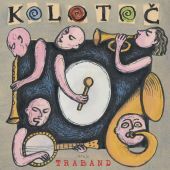 Under his direction, translators from the professional organization, the Czech Chamber of Sign Language Interpreters, interpret songs from three older albums (Hyjé!, Přítel člověka, Domasa) and also the song “My Teachers“ from the last album Neslýchané. Altogether, it is twelve videos of the total length of more than forty minutes (more information about the DVD bellow). Songs about characters of our world were recorded this time in the studio Faust, under the producer supervision of Martin Černý. “It´s not for the first time we have worked with Martin. As musicians, we´ve known each other for years, we used to play together in Zuby nehty. 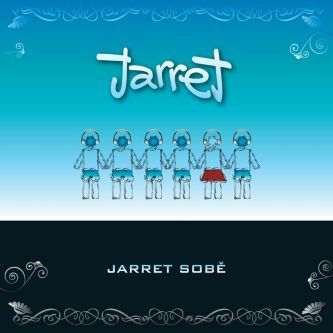 His band Rudovous inspired Traband in its beginning; he helped us with the first demos,” says Jarda Svoboda about the new producer. And he´s also one of the reasons why the new album again sounds differently than the previous one, in spite of the fact that the band recorded in the same setup (Jana Kaplanová – trumpet, keyboard, vocals, Robert Škarda – tuba, suzafon, Vašek Pohl – drums and vocals, Jarda Svoboda – guitars, keyboard, vocals). Already in “Domasa” the harmonium didn´t play such a dominant part as before. 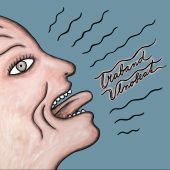 Now, it is just one of the instruments which complement the overall unique sound of Traband. 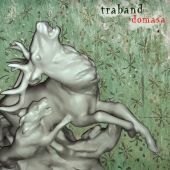 This time, Traband is a bit more rock within the limits that allow to describe the particular character´s stories which come to life in the songs of Jarda Svoboda. One of the important elements of the album is a radio. 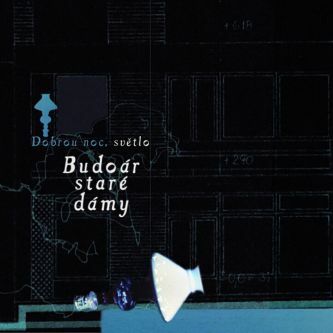 You can see “little transistor” on the cover of the album (illustrated by Jarda Svoboda) and the reference to the radio as a medium appears thorough the entire album in the radio-song called “Listener from Prague”. Jarda Svoboda talks about his fascination for this medium: “I don´t own a TV but since I was a child I´ve been a passionate radio listener and I´ve loved to jump from one station to another in classic transistor radios. Those sounds, the creaking, hooting, chattering and blending of different stations has always sounded to me like something very imaginative, it has incited my fantasy. That´s why the sound of radio tuning appears in all our albums since 2002! And our new album “Neslýchané” (one of the working titles was also Listener from Prague) is exactly this homage to the radio as a medium”. The cooperation between Traband and interpreters of the Czech Chamber of Sign Language Interpreters has already started in 2007. 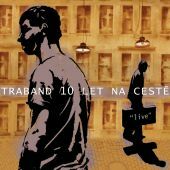 As Jarda Svoboda says, “In 2007 Naďa Dingová from the Czech Chamber of Sign Language Interpreters asked us to interpret six songs translated to Czech sign language at a concert for the deaf as well. 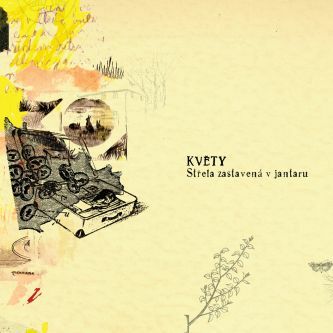 The result was unexpectedly good and it inspired us to record more of those songs and make it in a professional way.” The result is the twelve-song DVD which was created by the team of the cameraman and director Zeno Václavík, who is also the author of the successful video “Černej pasažér” from the album “Hyje!”. To try to record a first musical DVD for the deaf ever, was of course a huge challenge for me. 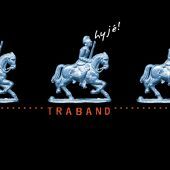 The band Traband and I are bound by a long-term friendship and cooperation, the world of the deaf, sign language and interpreters; their world has always fascinated me with its imagination and poetry. Now has come the opportunity to combine it all together and create a work that would be for both people who are able to hear and the deaf, but most of all for everybody who want to listen. The most difficult thing was to find the form – it was impossible to treat the videos only from the film point of view, but also we couldn´t just create a static image of an interpreter. It was necessary to maintain absolute comprehensibility of the translation for the deaf. And if you also add a bit punk approach to this work caused mainly by low budget limitations, we were off to an amazing adrenaline experience. The result looks like a record of a theater play and thanks to particular partners and skillful editor we achieved a dynamic whole so there was enough space for filmmaking as well. As my favorite operetta singer says: to speak about music is like dancing in architecture. The most important thing that makes us decide whether we succeeded or not is to see the whole thing in person. And to those who are able to hear properly I recommend to switch off the sound track for little while. May be they would be surprised how much of the sign language they would understand. In November 2007 the interpreters of the Czech Chamber of Sign Language Interpreters met the group Traband for the first time. The cooperation was excellent and the result of their work was corresponding to their effort. We enjoyed not only preparing for the interpretation of the first six songs selected but also their presentation at the „Fun after Work“ event. Philosophical connections arose almost immediately. After four years, we can finally build on our successful creative premiere. 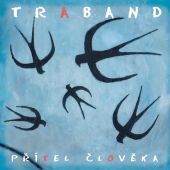 Together with Traband, we have decided that along with protagonists of the group we would prepare a bonus DVD to their new CD containing translations of selected songs to Czech sign language. This idea is promptly followed by another. Right now we already know that we would love to present these prepared and rehearsed songs in Czech sign language at concerts for the public. There wouldn‘t be only a one-off closed concert for only deaf viewers. The idea is that this interpreted concert would repeat periodically at various locations in the Czech Republic. It makes us really happy because the interpreted music can be enjoyed also by deaf viewers outside of Prague and thus we would be able to provide an insight into the world of deaf people, their community and culture. 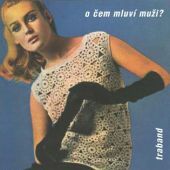 music and lyrics Jarda Svoboda, except n.9 (music Jana Modráčková-Kaplanová).